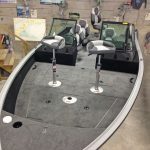 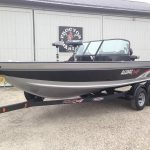 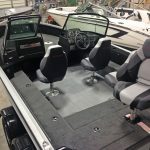 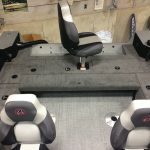 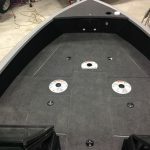 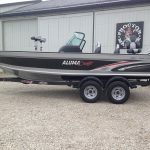 2019 AlumaCraft Competitor 205 Sport. 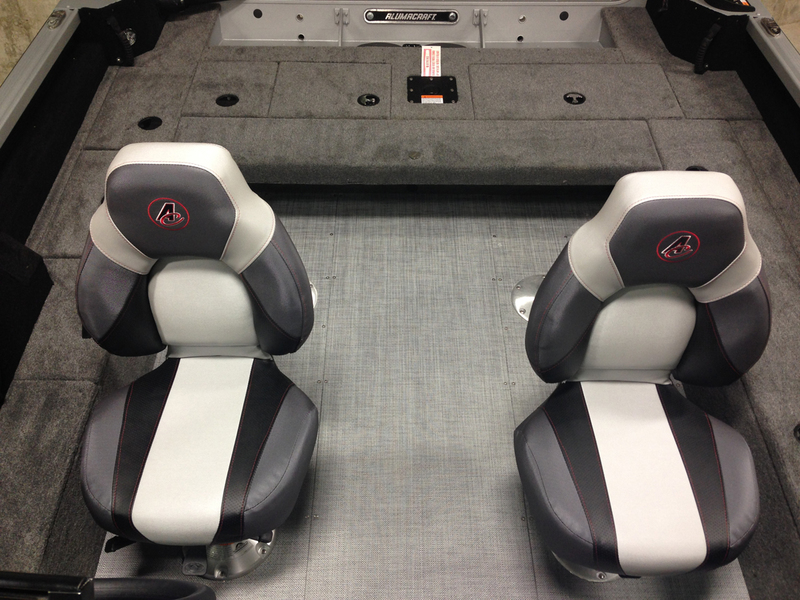 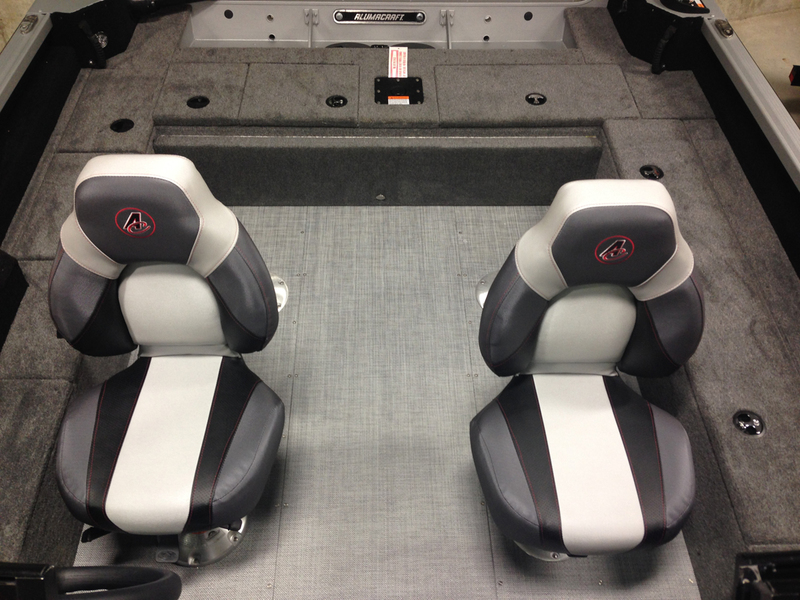 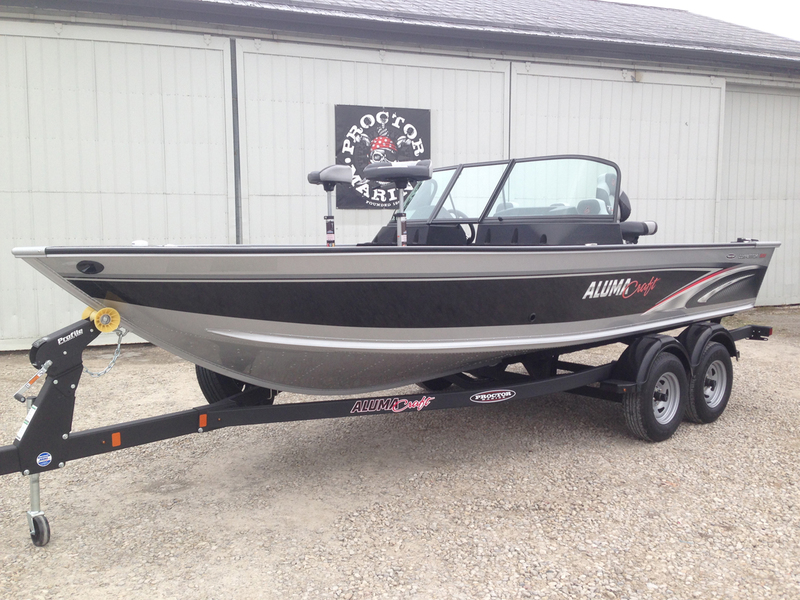 Powered by an Evinrude 250 HO E-Tec G2 and packaged with a matching Shoreland’r tandem axle bunk trailer. 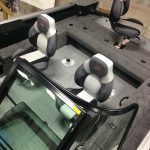 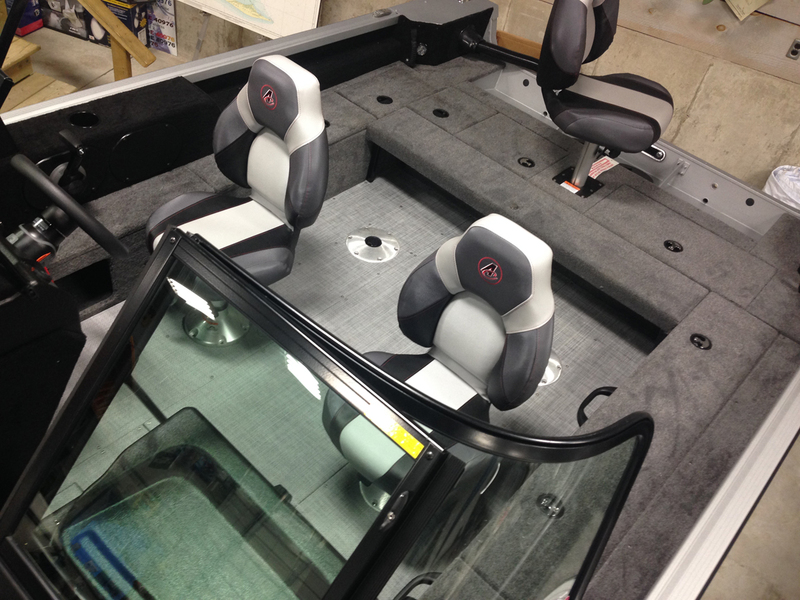 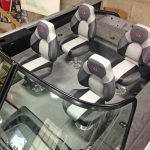 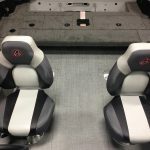 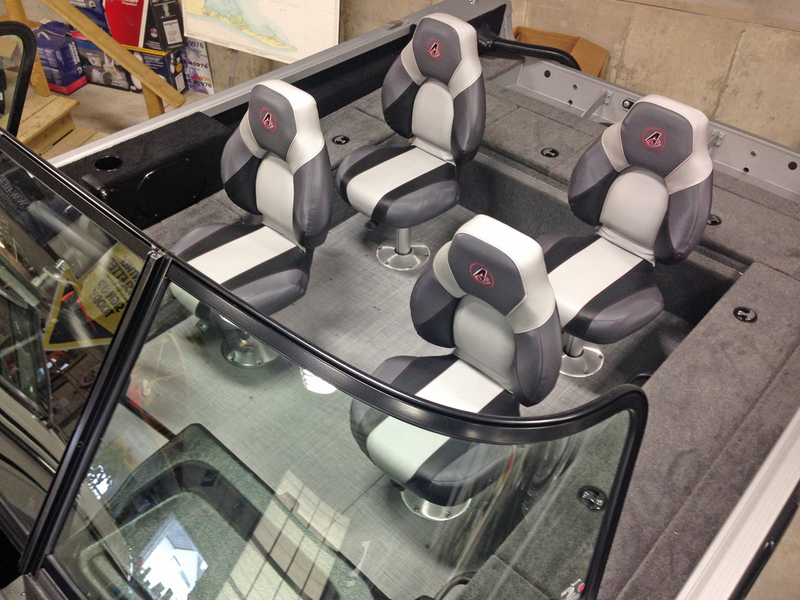 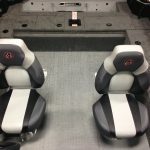 Reflex Silver and Black Crystal with Gray interior. 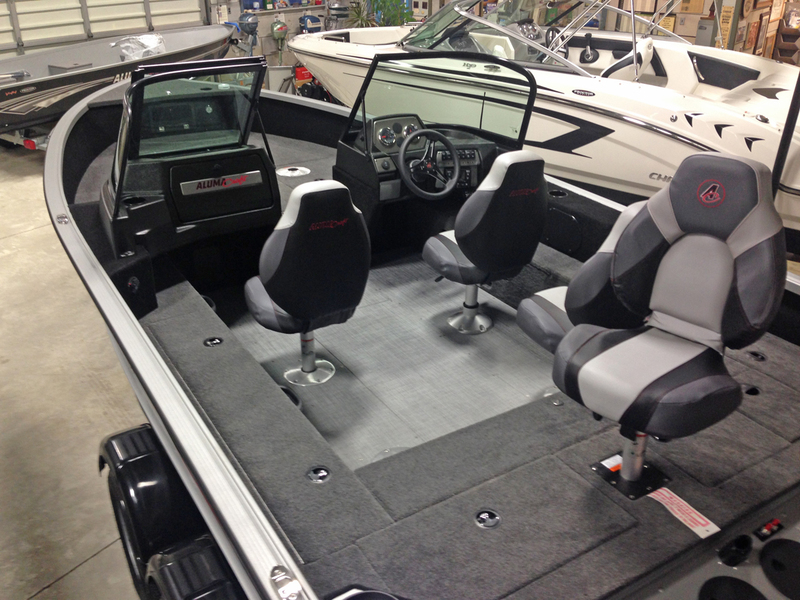 Measuring 8 feet wide and almost 21 feet long, the Competitor 205 is a big boat. 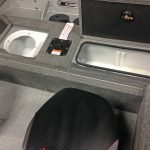 It boasts big storage lockers, two big live wells, tons of big boat features and it handles big horsepower, offering amazing performance. 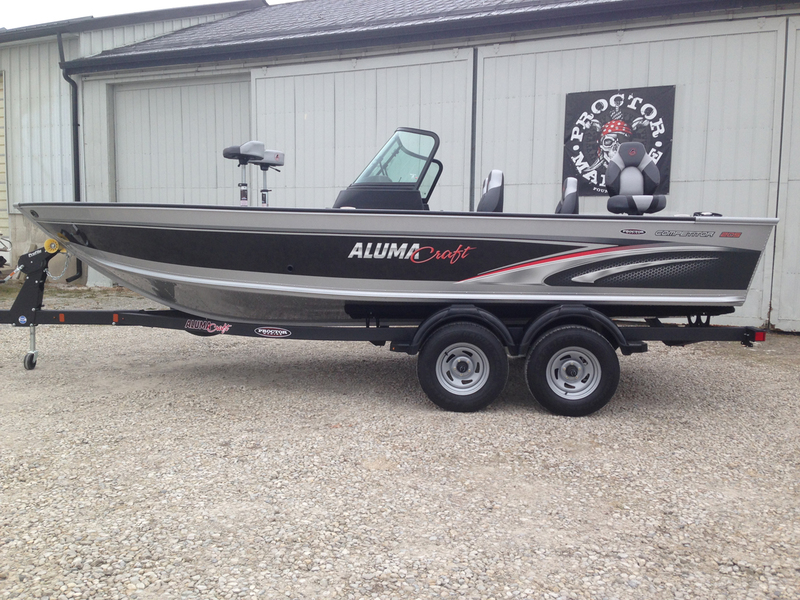 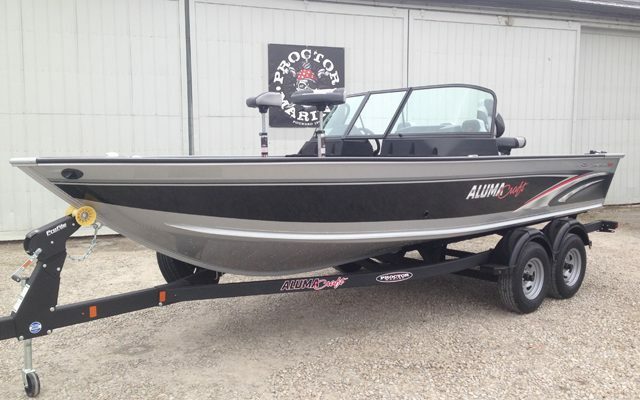 Alumacraft’s 2XB hull assures you a solid, dry ride that remains smooth and stable in a heavy chop. 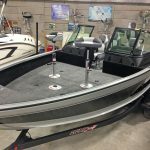 Evinrude’s 250 HO G2 assures you the performance, efficiency and low maintenance to keep you smiling for many years of fishing enjoyment. 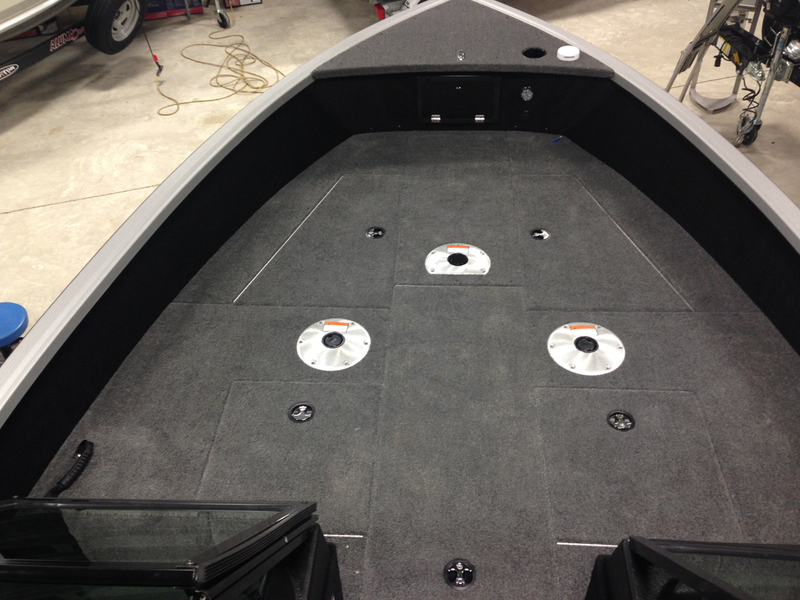 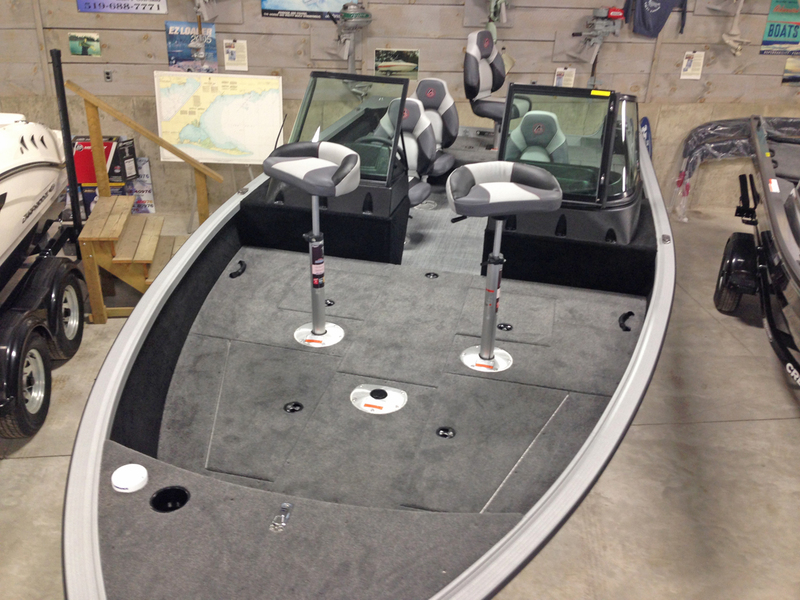 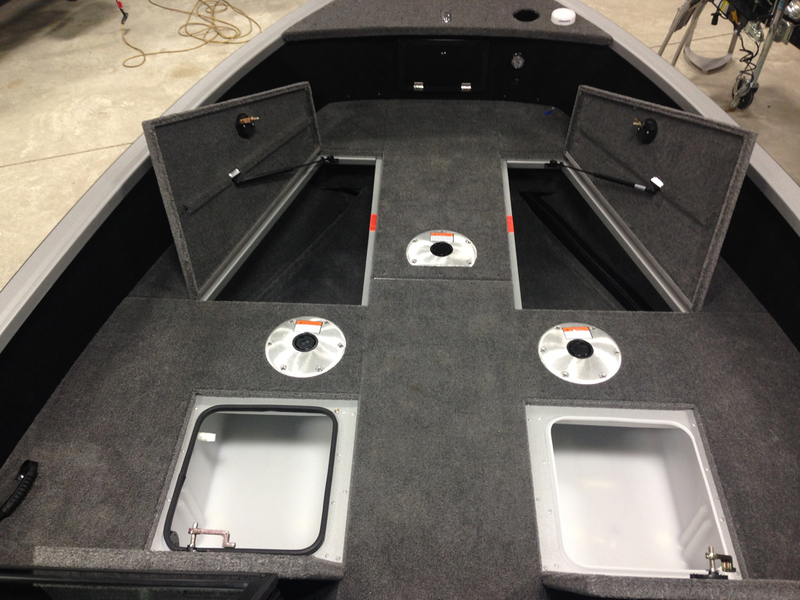 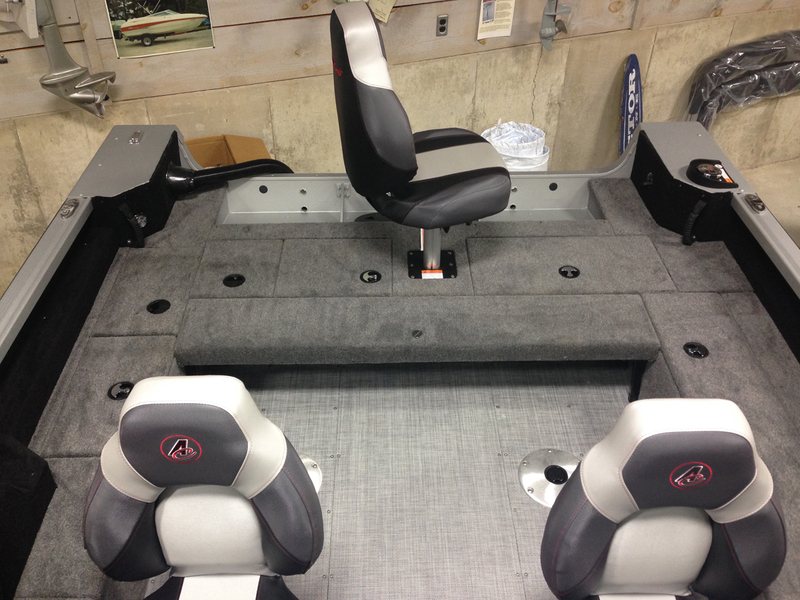 The bow casting platform in the Competitor 205 rivals any tournament caliber boat out there. 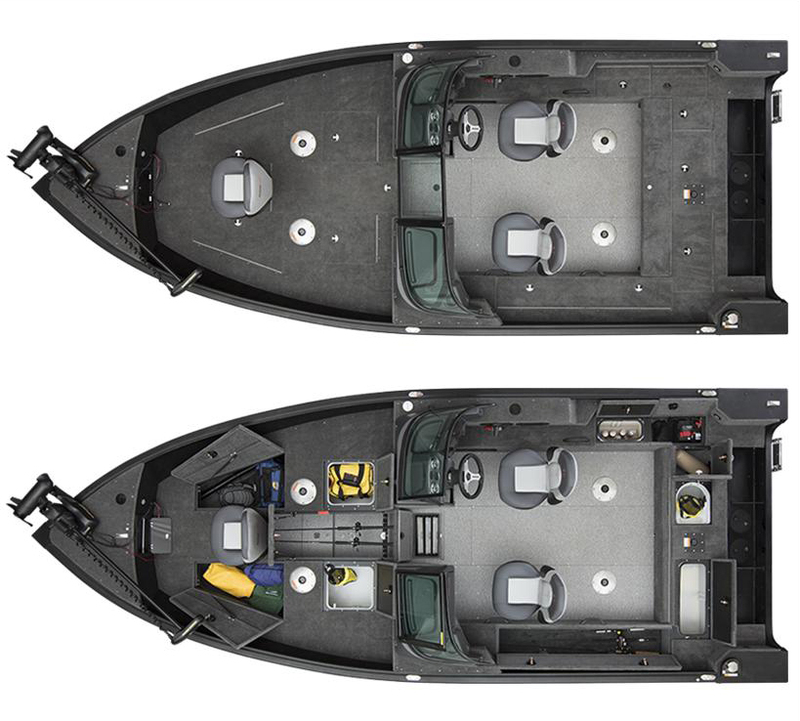 Two men can comfortably fish the bow and stay out of each other’s way. 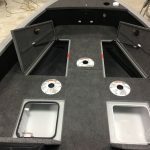 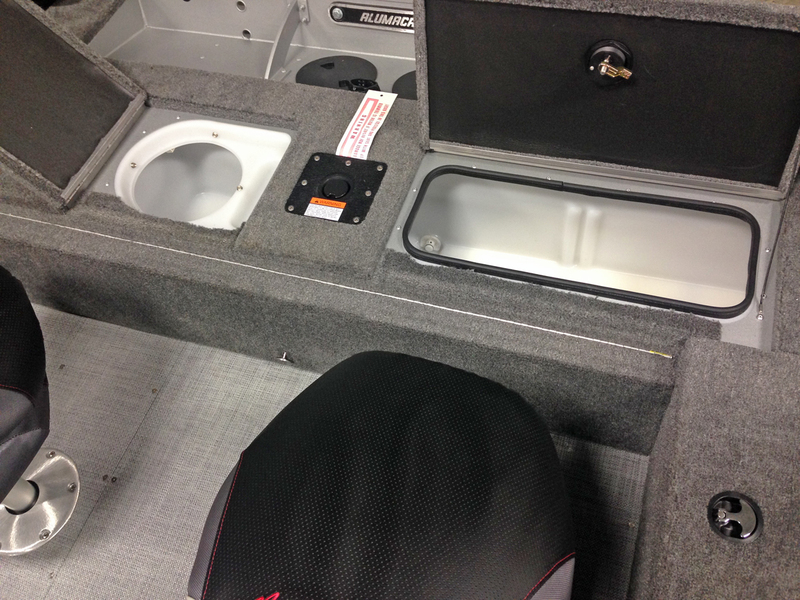 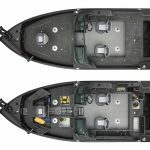 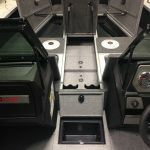 Two large storage areas and a big dry storage box are located in the bow and the aerated 22 gallon bow live well features a timer as well as a light. 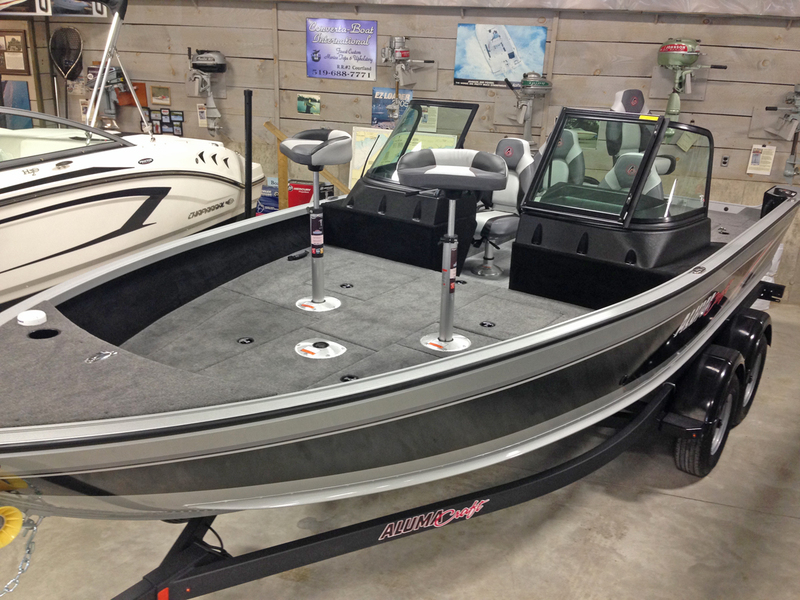 Bow rod storage can handle rods up to 9’ 4” in length. 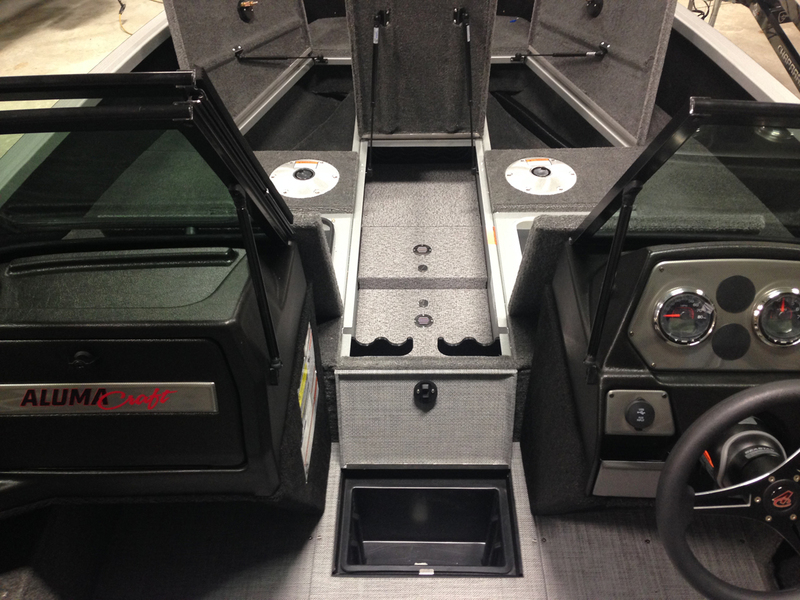 The 33 gallon rear live well measures 50” long making it ideal for walleye, pike and musky.